Samsung has announced another new addition to its happening on series. Samsung Galaxy On8 launched in India as the company teased it earlier last week. The company is working hard to expand its line up in the budget segment. 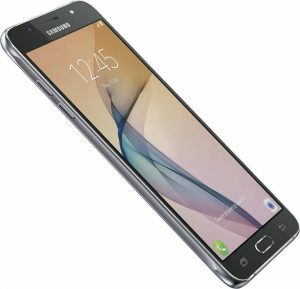 Earlier announcements, Galaxy On7 2016 and On5 2016 are on the way to market. Ahead of Big Billion Days sale, Flipkart was made the platform to galaxy On8 in India. “The Galaxy On8 is the perfect smartphone for consumers seeking an optimal mix of style, portability, and powerful performance. The device not only looks stylish but also packs a punch with a superior customer experience with a powerful processor and vivid display. We are extremely pleased to announce the new Galaxy On8 exclusively on Flipkart’s Big Billion Day Sale.” Says, Manu Sharma, Vice President, Mobile Business, Samsung India. The 5.5-inch full-HD Super AMOLED display will be the best part of the new Galaxy On8 which has been teased before its launch. The handset packs a metal body, and the company claims that it features a diamond cut metal frames. Like any other recent mid-range smartphones from Samsung, Galaxy On8 also ships features like UDS mode (Ultra Data Saving) and S bike mode as a part of the Samsung’s “Make for India” initiative. The smartphone runs on Android 6.0 Marshmallow with Samsung User Interface on the top. The 5.5-inch phone is powered by an octa-core processor which clocks at 1.6GHz paired with 3GB of RAM. An internal storage of 16GB is provided and is expandable up to 128 GB via microSD card provided. On camera font, the device packs a 13-megapixel f/1.9 aperture primary camera with autofocus and LED flash. There is 5-megapixels camera with LED flash on the front panel for selfies. Apart from Samsung Galaxy On8 specs, it is backed by a 33000 mAh battery which ensures a long usage over a day. The smartphones measure dimensions of 151.7x76x7.8mm and weigh about 169 grams. The dual SIM phone also features an excellent range of connectivity options which includes VoLTE, Wi-Fi 802.11n, 4G LTE, Bluetooth 4.1, and GPS. Samsung Galaxy On8 comes Gold, Black and White colors as tagged a price of Rs.15, 900 and will be available exclusively on Flipkart. 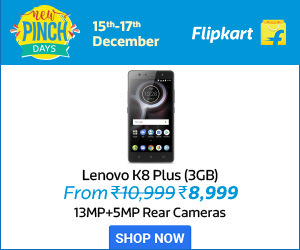 Hopefully, Flipkart may announce some offers on the product during the Big Billion sale falling next week.